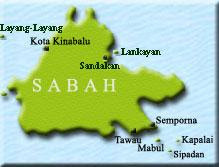 Burger operators all over Malaysia will benefit from innovative interactive website with real time opportunities to reach out to customers. The official launch of the Burger Kat Mane? website www.burgerkatmane.com.my ​ ​ is all set to blaze the way for burger operators nationwide to take their businesses to higher levels. The site offers many benefits including real time opportunities where burger operators can actually publicise and post their own offers to consumers; save time, effort and cost by harnessing the power of digital. And, the site also serves as a platform for them to interact and connect with diners, thus, assist on expanding their clientele beyond the nearby neighbourhoods. Unilever Food Solutions (UFS) Malaysia Marketing Manager Angeline Ho said: “Apart from its B2B features, this application is also unique in enabling the general public to be part and parcel of its user friendly features. Signing up is easily done online for either operator or customer. “For diners, they have a wonderful site where they can check out their local burger options or even go on a burger foodie trail as the site is map-based and makes finding the locations a breeze. They can also choose to rate and appreciate their favourite burger joints on Burger Kat Mane and share with other users too via the Burger Kat Mane Facebook page,” she said. 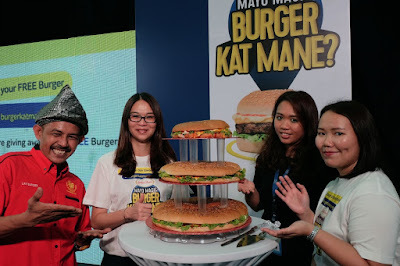 Created by Unilever Food Solutions (UFS) Malaysia, the web​ site is anticipated to provide a much needed concerted platform for the burger operator community, estimated to number more than 1 ​0​ ,000 stalls nationwide and their hungry fans plus followers in the form of millions of burger customers. UFS Malaysia Country Head Nusrat Perveen said: “Having a burger has become a lifestyle for many Malaysian consumers from all walks of life. Burger operators are also showcasing their creativity and innovation to make their offerings not only delicious but unique in differentiating from the competition. “Apart from using appropriate ingredients such as Lady’s Choice Mayo Magic in making greater tasting burgers, we are always looking at providing our diners with ingredients and encouraging food preparation that is great tasting with authentic dining experiences are fresh, exciting and leads to a healthy lifestyle from sustainable sources. “This is as much a challenge, and also represents opportunities for the foodservice industry. Here at UFS, our purpose is: We free chefs to love what they do. As part of Unilever, one of the world’s leading suppliers of fast moving consumer goods, with sales in 180 different countries and as the dedicated foodservice business of Unilever, we lead the industry in providing innovative and high quality professional food ingredients and value adding services created by 300 professional chefs. 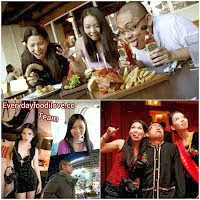 Covering 50 cuisines, in 200 million dishes a day. “Unilever Food Solutions is an inspiring global company made up of talented, entrepreneurial professionals working closely with chefs and distributive partners on a daily basis. In this positive and open culture we find inspiration every day, empowering our people to make a bigger difference at every level in the organisation. “Through long term partnerships with suppliers, customers and other stakeholders, UFS is making a difference,” said Nusrat.